With 2 X dual-optical sensors, the Ultimate ATO is the first ATO to include 4 sensors. The 4 sensors allow us to design a dual-stage overfill alarm that is less intrusive as well as a run-dry protection feature that prevents your sump from running dry: which is also a first. The Ultimate ATO’s versatility is also unmatched. An efficient DC pump is included for a standard installation. If you require a larger ATO pump for a remote sump installation, a Socket Switch is included that allows you to run a pump up to 10A (1000W). A solenoid valve is also included for aquariums that are topped off directly with an RO/DI system. We designed the Ultimate ATO to offer you the ultimate protection with the ultimate convenience! 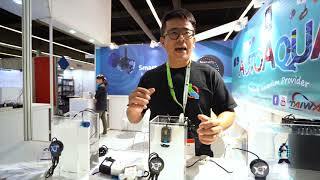 Solenoid Valve : Power : 6 W @ 12 VDC"
Ever since the ATO systems were invented by Tunze in 1985, they have been helping saltwater reef aquarium hobbyists maintain stable salinity levels and offering a ton of convenience. ATO is short for ‘aquarium top off’ system. It is also called an ATK ‘aquarium top-off kit’, or osmolator / osmo regulator in Europe. Here at XP Aqua, we have combined all the best ATO technologies and added several proprietary features to create the safest and most dependable ATO money can buy! Our micro sized ATO sensor features two precise optical sensors to offer you more protection. 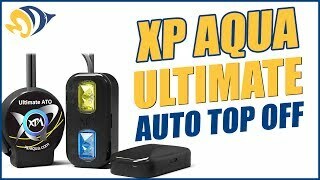 Additionally, each XP Aqua ATO system includes our intelligent QST programming to prevent overflows. If you are looking for the best ATO system, check out our awesome line of ATOs!